During the month of October, LEGOLAND® Malaysia Resort will get a complete makeover and turn into a spooky yet kid-friendly park in Malaysia for their Brick-or-Treat festival. This year, families and their little monsters can look forward to fun and educational activities such as Speed Building Challenges where they can work together and learn through the magic of play. Decked out in the best Halloween looks, the whole park will be jam-packed with activities that families can enjoy and learn together, including Hut Activity Trail where visitors are required to complete tasks at various checkpoints. Families can also take Instagram worthy photos at the Laughter Castle or catch a glimpse of their favourite LEGO®characters at the daily Halloween Parade. 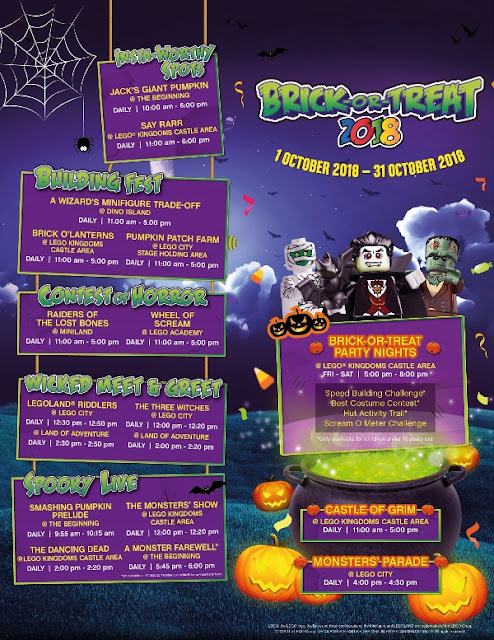 Every Friday &Saturday, LEGOLAND® Malaysia Resort will also be throwing the biggest Brick-or-Treat Night Party. 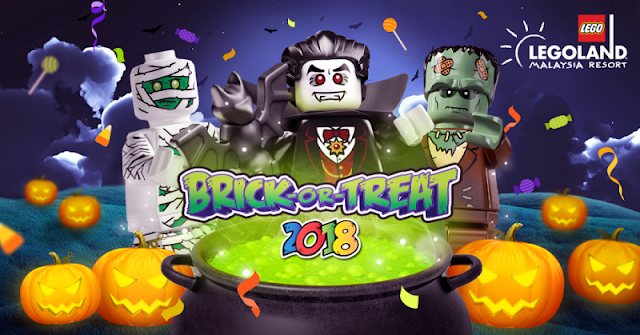 At this lively party, kids can put their imagination and innovation to test with a Speed Building Challenge and their problem-solving skills in the Brick-Or-Treat Trail. To ensure that they adopt the key skills that they learn, participating kids will be rewarded with prizesworth up to RM500 and various brick-or-treat giveaways. Families can secure their place amongst the spooky LEGO®ghosts at the LEGOLAND® Malaysia Resort’s official website www.legoland.com.my. For more information on promotion, activities and the upcoming festivities, stay connected with the resort via Facebook and Instagram.